for as low as $99/month. 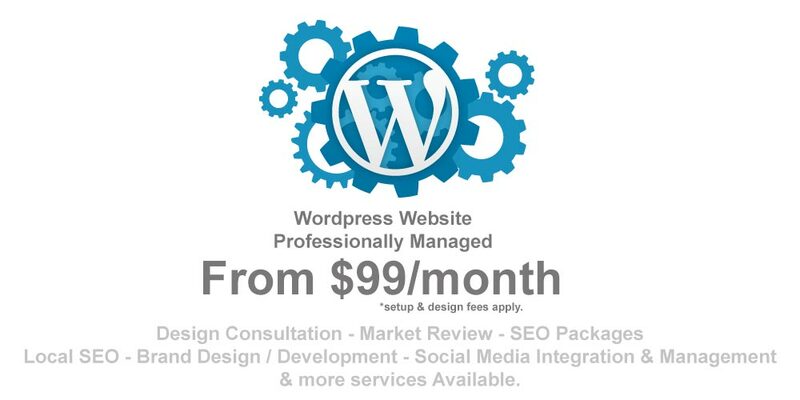 WordPress empowers you to manage specific aspects of your website internally. Adding content and posting content that can be instantly shared to social media put power in your hands. This also saves you money production costs to administer the website and the production of content. Website Needs to be fast! More and more the major search engines are tracking website performance as one of the major ranking factors. As more and more people use mobile devices it is very important to have a fast website. Website needs to be responsive! The content of your website needs to be the same between the mobile website and the full screen website. Search engines rank based on the conetnt and need to make sure that its relevant.